By far the smallest of the world’s biokingdoms, the Cape BioKingdom is justified because of its exceptionally distinctive plant life. It includes the Cape Region of South Africa extending in a relatively narrow zone from areas just west of the Cape Peninsula to the vicinity of Port Elizabeth in the east. The plant life comprises about eight endemic or near endemic families of vascular plants. 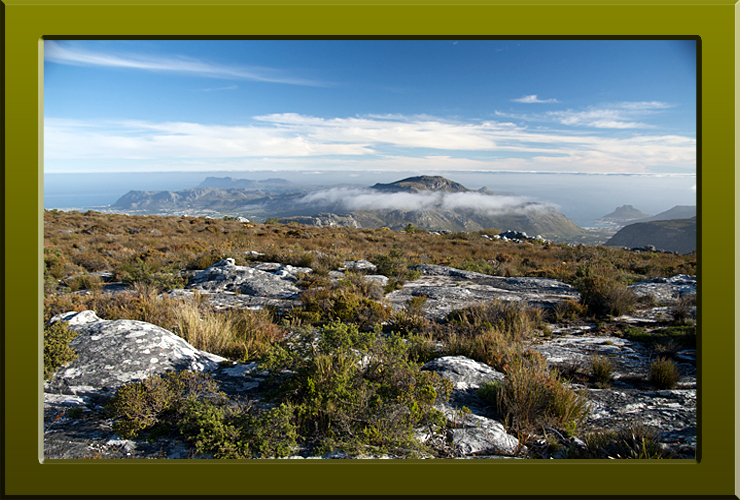 Fynbos on Table Mountain in the Cape BioKingdom (Copyright © 2010 Peter Martin Rhind).